Across all of City Connects’ schools, about 91 percent of the children we serve are low-income, and almost all of them rely on Medicaid for access to a range of health services. Our results in using these and other services to improve students’ academic and social-emotional outcomes shows how integrating comprehensive services can help students be better prepared to learn and succeed. In the 2015-16 school year, we connected our 29,000 students to 44,197 services for health reasons including vision and hearing screenings, dental check ups, and doctor visits whenever a concerning medical issue arose. Now, Congress is overhauling the Affordable Care Act and proposing some $800 billion in cuts to Medicaid that could hurt schools and school children. This funding cut would make it harder to connect children to health care. And without these services, many children won’t be able to fulfill their academic potential – an outcome could limit their college and career outcomes. National news reports are pointing to this widespread challenge across the country. “That could force districts to tap into their local school levy funding to provide these mandatory services — at a time when the Washington state Legislature is grappling with how to reduce districts’ over-reliance on levy dollars for basic education under the McCleary decision,” a state supreme court ruling that the state was underfunding its schools. “These cuts, therefore, would undermine the ability of VPS to offer high-quality instructional programming to all 24,000 of the young people we serve,’” according to a letter from the Vancouver Public Schools district. “It could have a big impact for already cash-strapped school districts, which would have to find other ways to pay for services they’re required by federal law to provide. “‘For some districts, it would be catastrophic for them,’ said Mike Gemar, support services director for the Twin Falls School District. “U.S. schools currently receive an estimated $4 billion in annual Medicaid reimbursements, the Associated Press reported last month. “In Hampton, all of the federal reimbursements the school division receives are for special education services, said Suzy Scott, deputy superintendent of operations and support. The funding goes toward some transportation, psychology services, occupation[al] therapy, speech and language therapy, some nursing services, medical equipment and medical supplies. “A ‘bulk’ of Newport News’ reimbursements pay for special education services for students, spokeswoman Michelle Price said. That would include some types of therapy, such as physical and speech. For other students, skilled nurses funded by Medicaid may assist with feeding tubes and other medical treatment for ‘medically fragile students,’ she said. “Officials in each school division said that under federal law, they would still be required to provide services for students whose IEPs require them. 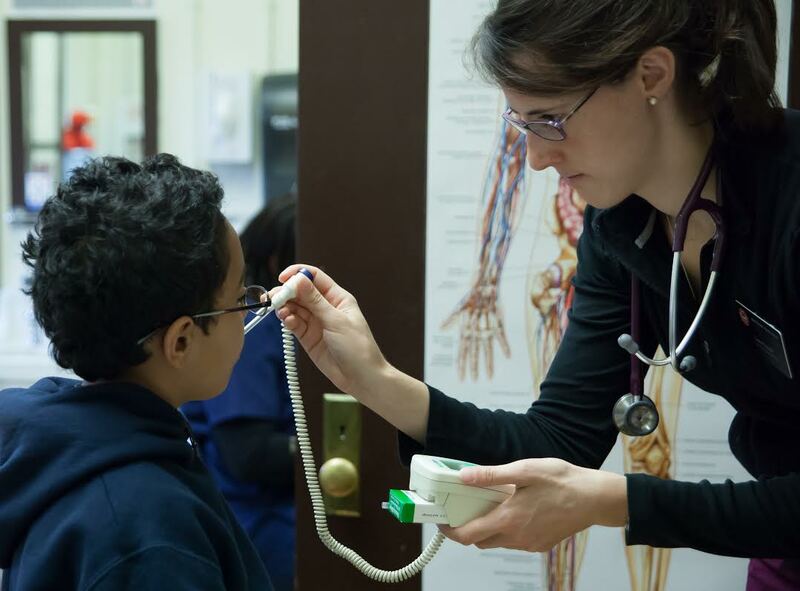 Every day at City Connects, we see the importance of connecting students to health care services, whether or not this is required under a special education plan. That’s because healthier children are better prepared to succeed in school.